First retirement road trip has started. Left on Saturday 2/13/16 with first stop in Columbus at the Emma Rishiell Train Station and Inn. After a couple nights there with a great Sunday spent with Lia and Emma then on the road to Bowling Green, KY which is where I am now. Heading to see Emil & Mary Kunze, friends from Ann Arbor days back in 1969/1970, with a stop in Birmingham to see Tom & Michelle. Then off to Florida for a week with Dan. 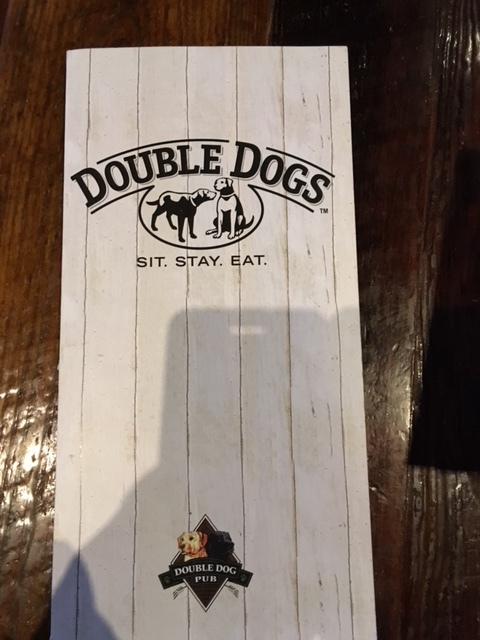 Dinner last night at Double Dogs with flat screens and sport shows for wall paper. The dogs were good and the s’more desert was very good.